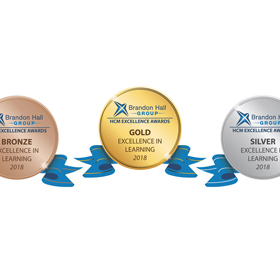 CrossKnowledge, one of the world’s leading distance learning providers, today announced that it has been recognized as part of the top 50 Learning System providers by Craig Weiss Group. The e-learning analyst, speaker and author, Craig Weiss, has analyzed over 1000 LMS worldwide and collected the best in a report. CrossKnowledge was ranked #2 in the world. 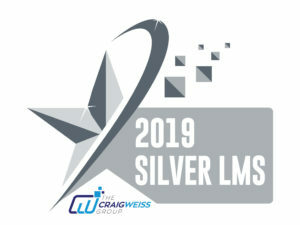 Craig Weiss announced his picks for the Top 50 LMS of 2019, selected based on a number of criteria that he lays out in more detail on his website and in the report itself. In the report, each LMS is presented in a profile overview that shows the standards used by Mr. Weiss to evaluate each LMS. These criteria include fees, pricing, data security/privacy, latest features, roadmap, hosting, support and training. Ultimately, the report acts as a valuable resource for learning professionals who may be purchasing a learning management system in the near future. With detailed profiles of the 50 learning management systems that it ranks, the report also provides an overall analysis of the market. Weiss’ report stands out from other “Top LMS” lists because its purchase buyers are also granted access to a gated site, where they are able to customize the Top LMS list based on their specific needs, including number of learners, budget, and other categories such as important features. “Scores 100% in administration and learning environment. Best data visualization and analytical data capabilities I’ve seen so far out of the box..”, said Craig Weiss, CEO of the Craig Weiss Group. “At CrossKnowledge, we focus on developing unified digital learning solutions for our clients. With the recent addition of the Facilitator Interface in CrossKnowledge Blendedˣ, and Craig loving our platform, we are sure we are on the right track. Our learning platform is ready to tackle all organizational learning needs.”, said Danish Khan, Product Marketing Manager at CrossKnowledge. Craig Weiss’ annual report announces his picks for the Top 50 LMS of the year, selected based on a number of criteria that he lays out in more detail on his website and in the report itself. Ultimately, the report acts as a valuable resource for learning professionals who may be purchasing a learning management system in the near future. Including detailed profiles of the 50 learning management systems that it ranks, it also provides an overall analysis of the market and unique top three LMS lists for a variety of verticals.